So I have to confess that I buy far too much nail polish. I just can't help myself when there's so much variety in colour! If you're like me then you'll know what it's like to struggle with organising and presenting all your nail polishes. Even if you only have a few, it can be fun to find creative ways of putting them on display. 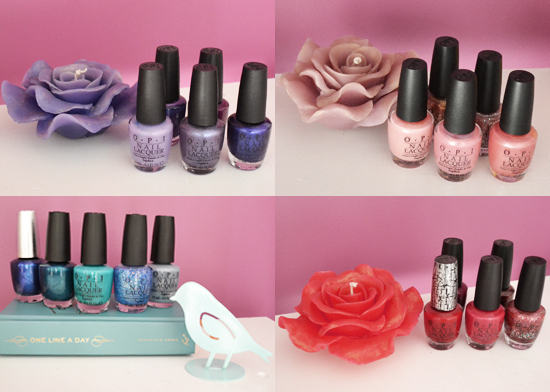 Above are some photographs of many practical and pretty ways to organise your nail polish collection. 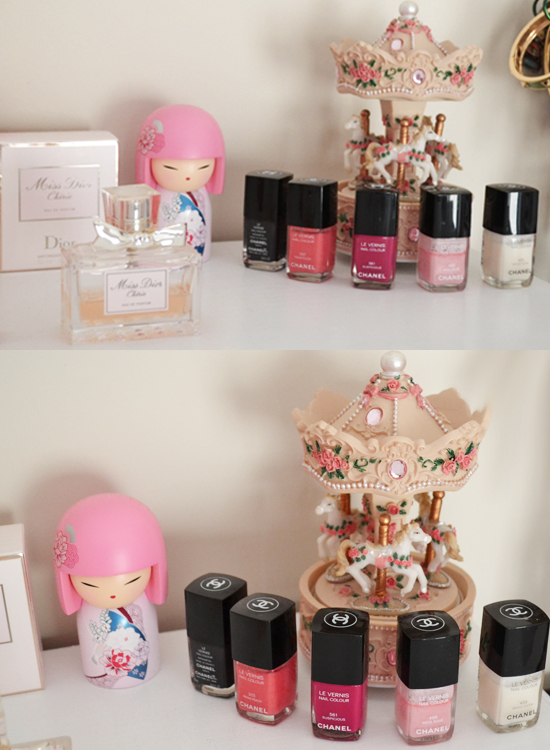 Place them alongside pretty ornaments in your room, so the polishes become a decoration in themselves. Use tealight candle holders to put them in. 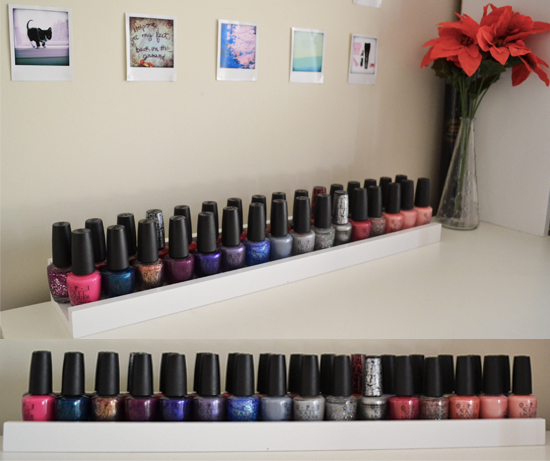 Get a wall shelf and place all your nail polishes in two rows along it. You can either leave it on top of a table or fasten it to the wall. Place them all on a glass dish. Organise your nail polishes in colour groups. You can mix in similar coloured items as well. If you prefer to store your nail polishes away, you can pack them in a nice box. It's up to you whether you want to have them neatly ordered or just thrown in! You can also group them in terms of their brand. 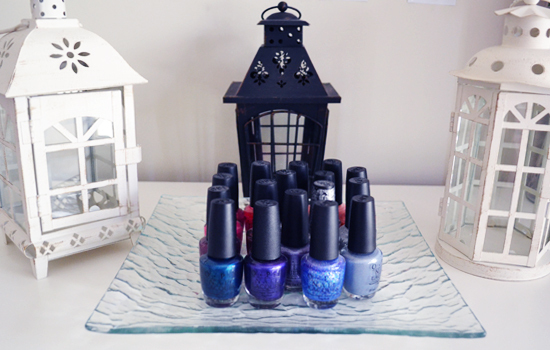 For examples keep your OPI nail polishes on your dressing table, and your Essie polishes in a box, etc.